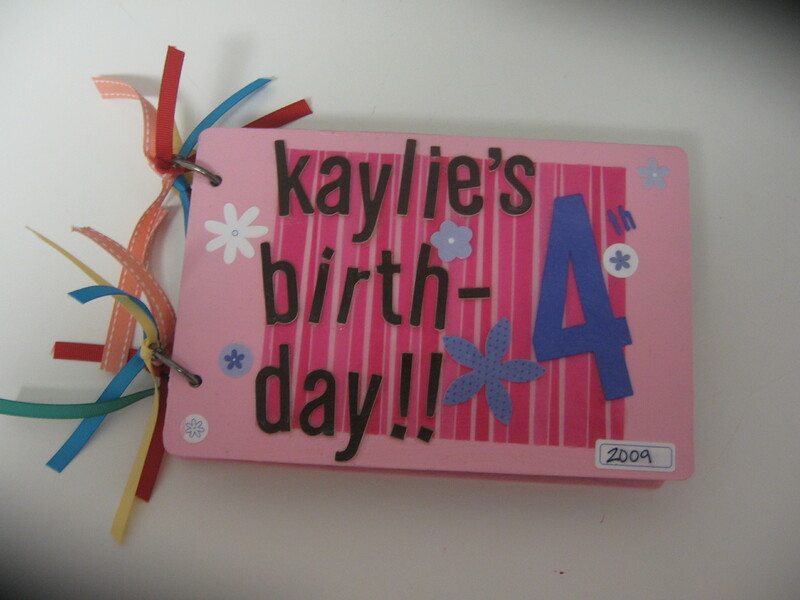 I created a mini scrapbook album for a co-worker’s daughter’s 4th birthday. I love to capture kid’s personalities when they are young so you can see if they change. 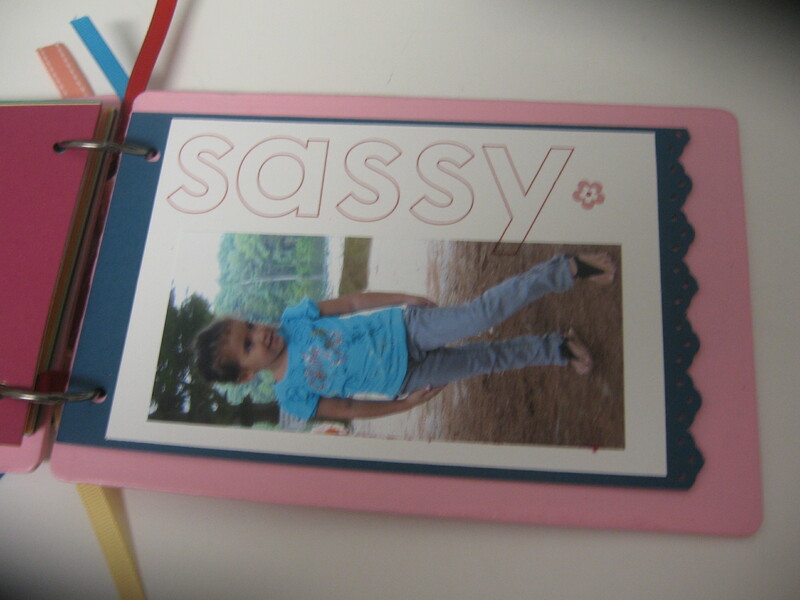 Or in the case of Kaylie, if she stays SASSY! 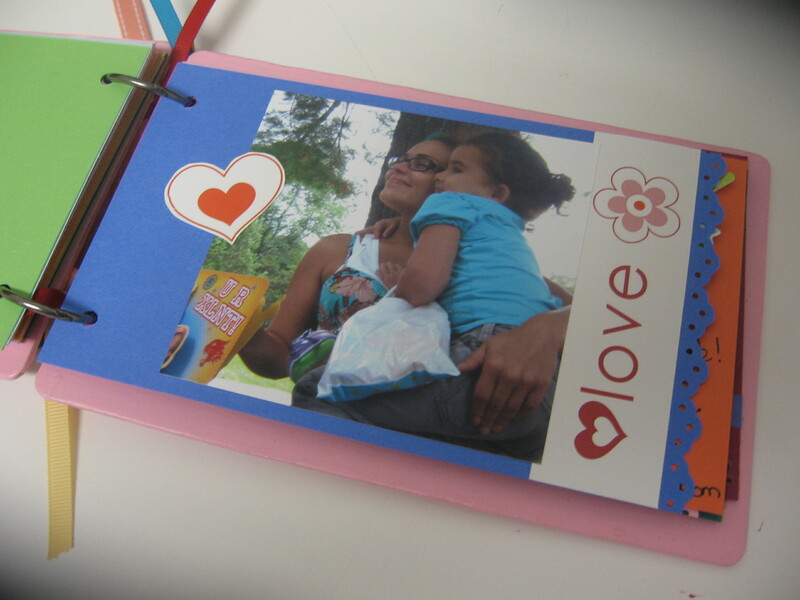 Most of the supplies were from Stampin’ Up. 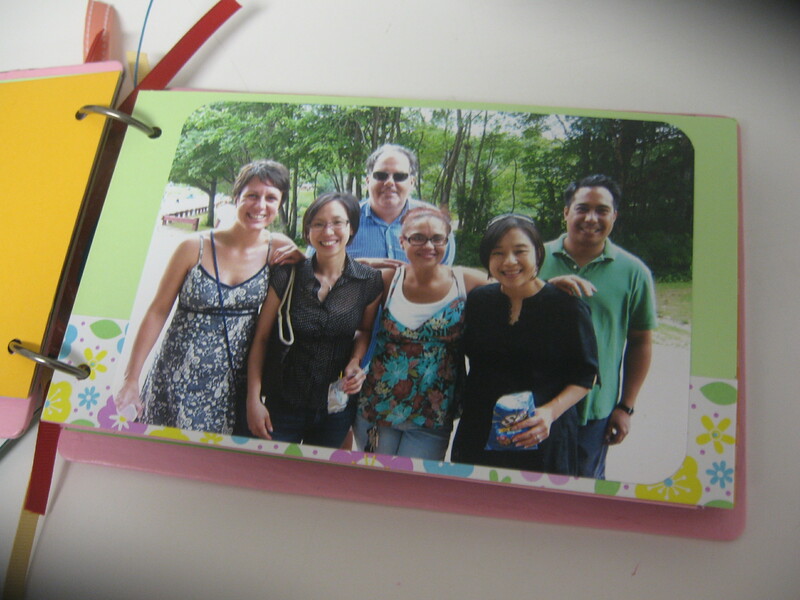 I used their chipboard pieces to create the front and back cover. I then painted them, added thickers letters, and SU! stickers to the cover. I covered both covers in Mod Podge to prevent any chipping of paint or accents coming off. I used a punch to accent every other page in the book to give it some detail. 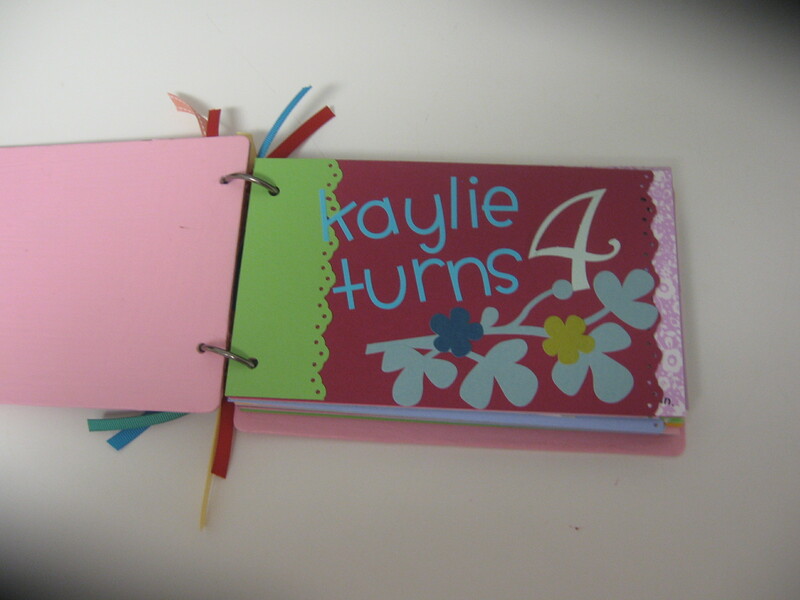 I accented the pages with stickers, rub ones, eyelets, and patterned paper. The last step was to assemble and tie off pieces of ribbon on the rings. 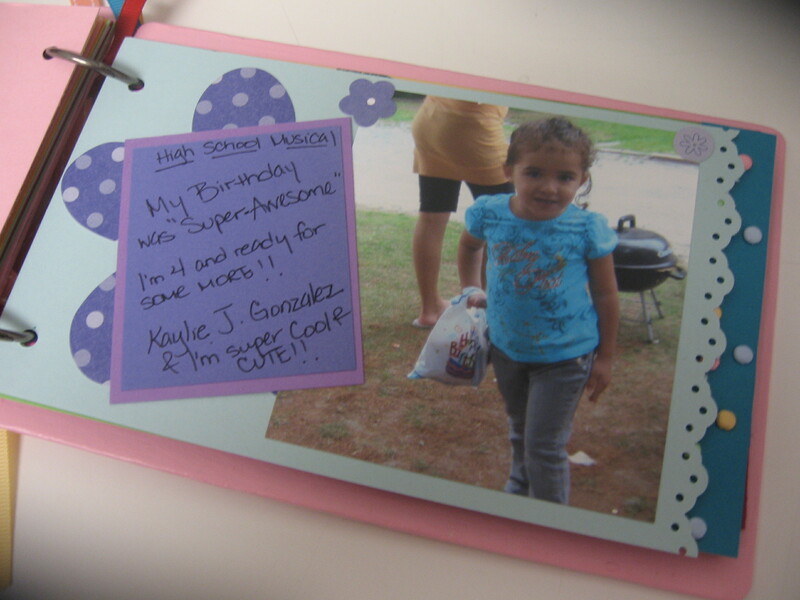 Before I gave it to Kellie I had her journal in it. I saved spaces to allow for her to write things down about the day. The funniest picture of the day! I asked Kaylie if I could take her picture and she stuck a pose!